Kusadasi is one of the well known tourist attraction centers of Turkey which is located on the Aegean Sea coastline as noted for capital cruise ports of the country. 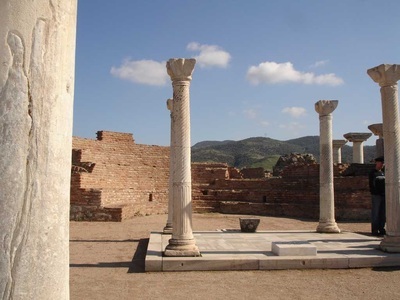 It belongs to province of Aydın, 71 kms far away from Aydın and 90 kms to Izmir, only 15 kms is the distance to Ephesus, one of the most visited archeological sites of this area , so excellent location makes the town of Kusadasi as the most important vacation center of Aegean region. It covers an area of ​​264 square kms and its population is 95,000 according to the 2009 census. 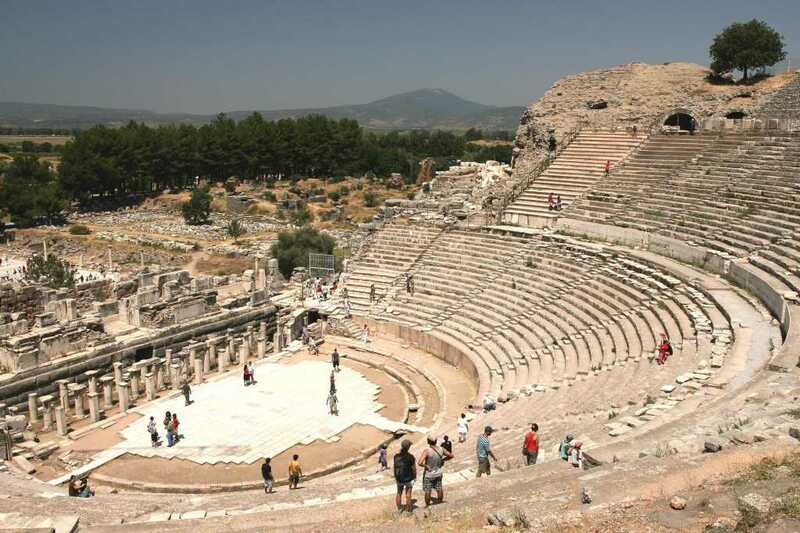 Discover the rich history of Kusadasi with Tour Maker Turkey. Our Kusadasi travel plans have been designed to deliver effective tour guide services and maximum security. Apart from exploring Kusadasi’s major sites, we also pick and drop travelers from hotels, airport or the seaport. Our aim is to provide high value services at competitive rates. Turkish people call “ Kusadasi “ that means pigeon island. When you translate Pigeon Island into Turkish language, Pigeon means “ kus”, island means “ adasi “ together it is called Kusadasi. Although the town has many different names such as Scala Nouva, Ine and Guvercinada “ , It has been known as Kusadası since 1960 and the pigeons have given their names to the town called at Kusadası so the symbol of the town is the pigeon. Kusadasi was established as an alternative port and naval base for Ephesus just before Ephesus was fallen down because of the earthquakes and the maleria illness in late 7th C AD in Byzantine period. In 9th C AD, the knights of Rhodes captured the town and made a fort on the piece of island as a military base. Knights and the Byzantine troops have made a big quarrel to take control of the town duing the Medieval Age. Ottoman troops took over the town in 1413 and the town became as one the naval bases of the Ottomans to fight with Venetians in Mediterrenean Sea. Barborossa, the great admiral of Ottoman Navy, restored the castle in 1534 and the town has been known as the military base of Barbarossa. In 1826 there was a great rebellion in Greece to apart from Ottoman Empire and the town was invaded by the Greek trops. Ottomans recaptured the town later and Kusadasi was ruined during the Word War I by bombing from Bristish war ships and Italians ruled here for about three years. Kusadasi was saved by Turkish troops on 7th of September, 1922. Kusadasi is the first town where Turkish tourism facilities began so it has an important place of the Turkish tourism industry. The piooners from European countries began visiting this town in 1960s and the inhabitants of Kusadasi were very keen on learning tourism business by heart so the hotels and pension houses were built in a short time. Kusadasi has become one of the best vacations centers of Turkey in 20 years in one hand. 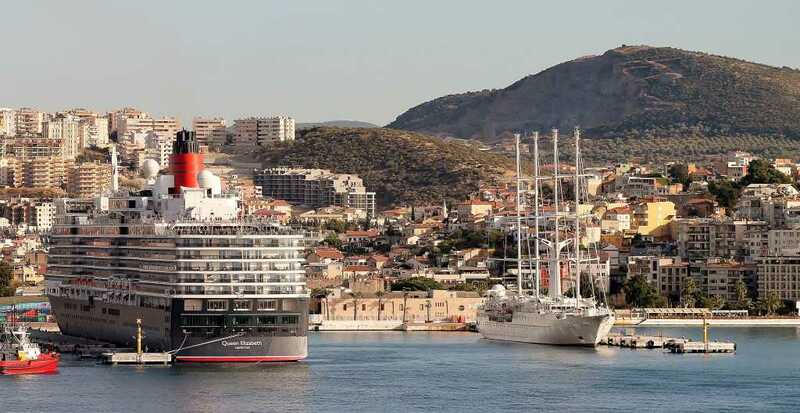 The location of the town is very close to Greece and has a 26miles long coastline invited Kusadasi as to become one of the main cruise ports of the Aegean in the other hand. The harbour with two quays were built between 1980 and 1995 and Kusadasi was available for big cruise liners. In 2001 was the turning point of the town’s fate that Royal Caribbean International, one of the leading cruise companies of the world, with Celebrity cruises, applied to Turkish government to run the tourism business in East Mediterrenean and then the tourism poured out. 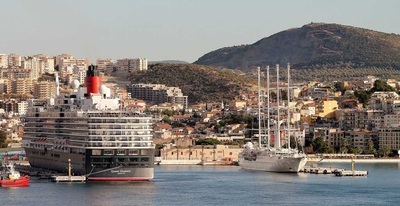 The port of Kusadasi has become the capital of cruise ships and the busiest port in Turkey in the recent years. The admiral town and one of the three big Roman towns with 250.000 population in Roman world for 300 years, Ephesus was the third largest and was the capital city of Roman province of Asia in Roman era. It is about 15 kms far away from Kusadasi and it takes only 20 minutes to reach. 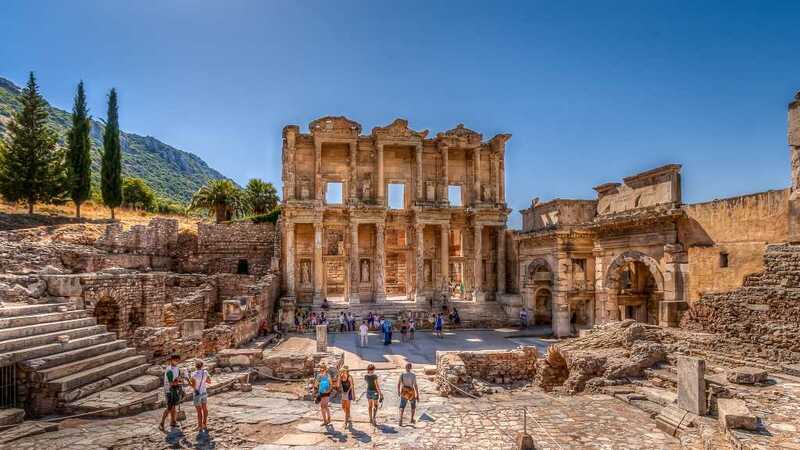 The archelogical site covers more than 200 square acres and eaxcavations in Ephesus are still going on by Austrian archeological team from June and October. Anyone coming to Kusadasi must visit Ephesus ruins beacuse of its perfect edifices, theatres, libraries, agoras and so on. If you don’t want to regret later, you must visit at once. The distance to the house, where Blessed Mary was supposed to live for a while, is about 20 kms and takes only half an hour by coach from the pier. The house of Virgin Mary is one of the holy places both for Christians and Moslems so it can be visited by millions each year. It locates on the top of mount nightingale surrounded with olive orchids and has a peaceful atmosphere. The father and the sisters who were appointed by Vatican are always ready for Holy Mess at any time of the day and a regular mess is held at 10.30 every Sunday. A byzantine monument, built in 6th C AD on the former tomb of John the Apostle whom he promised to the Jesus on the cross, is close to the bottom gate of Ephesus. A baptismal pool, the tomb of John the Evangelist as Bible author, a big nartex and the Maltese columns were worth to be seen. Greek Artemis, Roman Diana, is one of the seven wonders of the world, is situated on the footprints of the St. John’s basilica. The temple has been the center of the pagan world as Vatican for pagan believers for about 1000 years till the Cihristianity was legalized by Constantine the Great. It is said that it had 127 high columns in the temple in antique ages. It is one of the extra-ordinary examples of preservation in cultural heritage of Turkey and a famous village of Greco-Turkish type which reflects two different cultures in cuisine and in folklore. 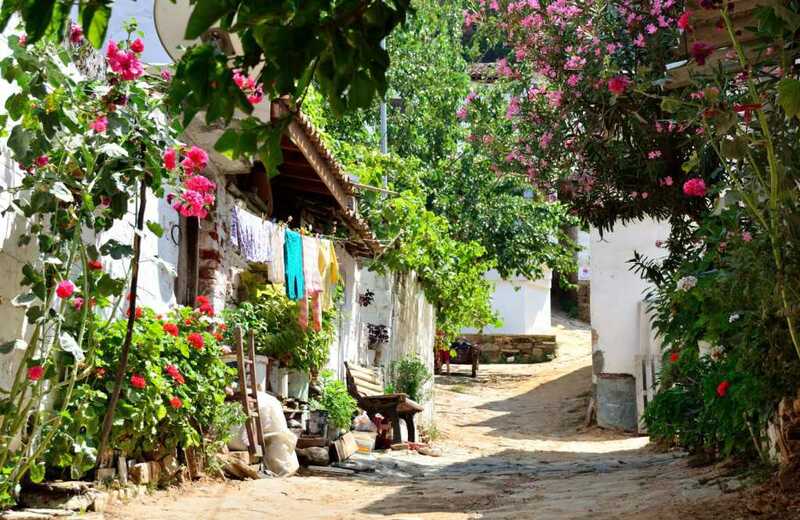 The most inhabitants of the village population are the children of the exchange agreement between Turkey and Greece made in 1925. Anyone who would like to drink home made wine in Greek type and would like to eat delicious pastry cooked in the owen in Turkish one, she/he must visit because it is only 7kms to Selcuk town. It used to be the most important but the smallest museum of the Izmir province so local government with the help of Turkey dediced to expand the museum two years before. Now the construction is still being done so it is closed. 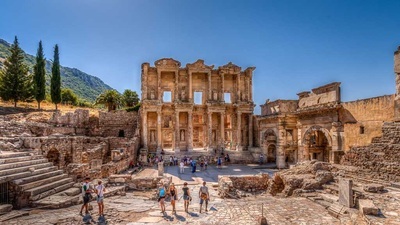 We believe that it will be the biggest and the most important museum displaying all artifacts from the excavations of Ephesus as soon as it has been completed.